SEOUL, Sept, 26 (Yonhap) — South Korea’s central bank officials on Wednesday discussed the impact the U.S. Federal Reserve’s possible rate hike will have on the nation’s financial markets. The Fed is widely expected to raise the federal funds rate by 25 basis points to 2-2.25 percent from the current 1.75-2 percent on Wednesday (U.S. time). 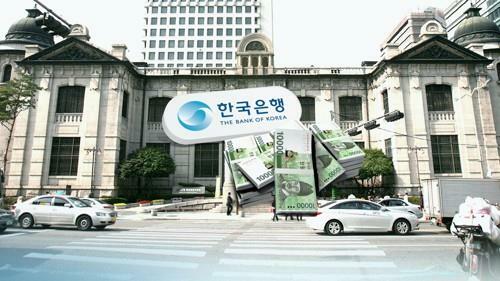 Bank of Korea (BOK) Gov. Lee Ju-yeol presided over the closed-door meeting with senior officials to discuss measures to deal with the Fed’s rate move, a BOK spokesman said by phone. The BOK has kept its key interest rate at 1.5 percent. In case of a U.S. rate hike, the rate gap between Korea and the U.S. will widen to 0.75 percentage point, possibly prompting foreign investors to move capital out of Korea seeking higher-yield assets. Analysts expect the BOK to raise the base rate at least once by 25 basis points this year.